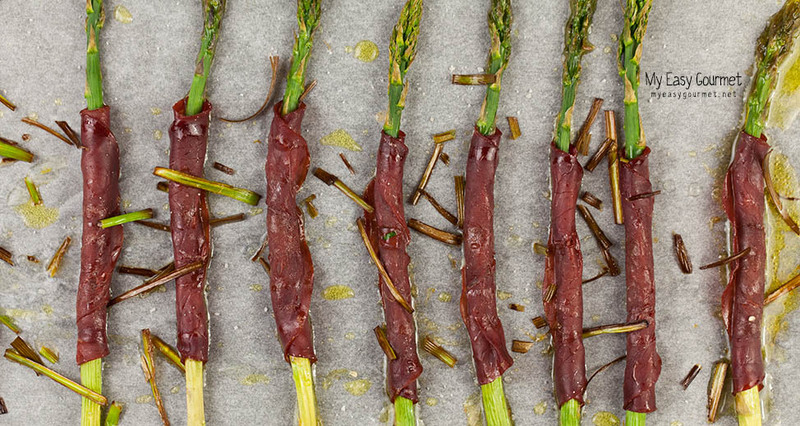 Wrap a slice of bresaola around each asparagus spear. On a baking sheet covered tray, place the asparagus next to each another. Sprinkle with olive oil and salt and bake for about 15 minutes. Cut the leek lengthwise (size of a match) and fry them in the sunflower oil. Let them dry on kitchen paper until your asparagus are ready. Garnish the asparagus with the leek and truffle oil and serve. This looks like it would taste perfect. Seemingly easy to prepare too! Looks beautiful and delicious! 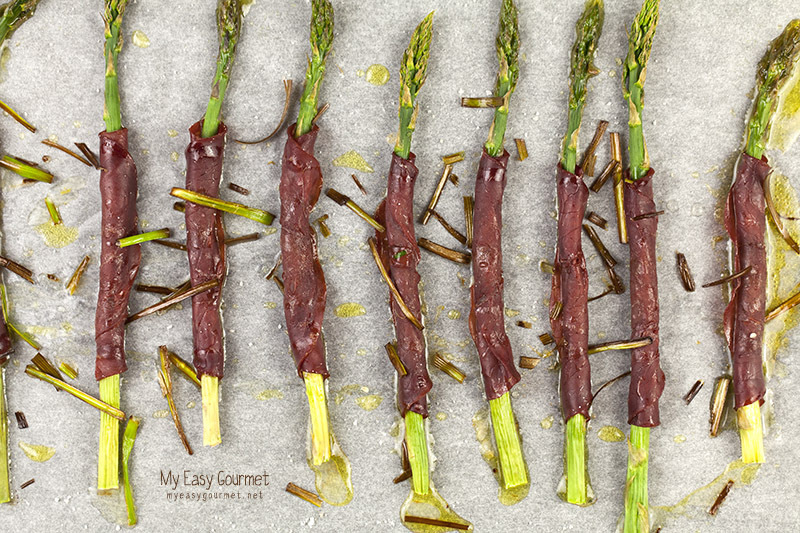 LOVE bresaola… I usually wrap my asparagus with speck. Will have to try your way next time!